Powerlifting is a sport in which competitors test their strength across three different lifts. 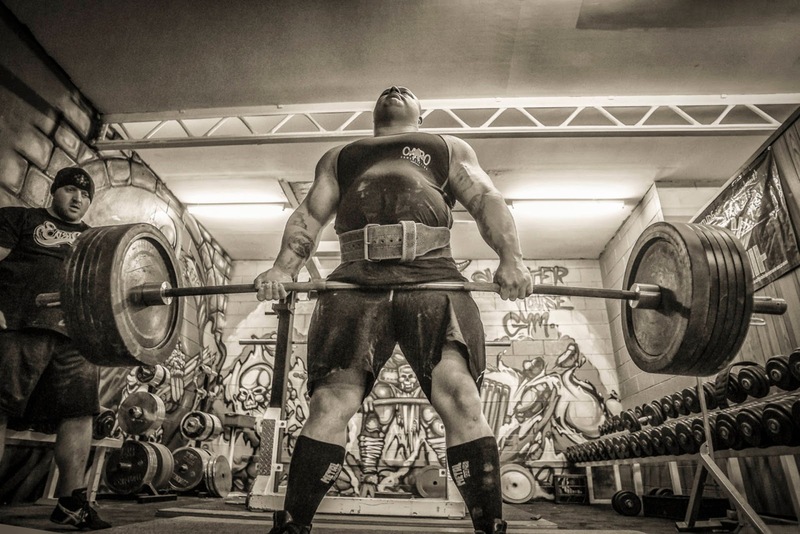 Overall body strength is the key to good performance in powerlifting. Just as sprinting is a pure test of speed, powerlifting is a pure test of strength. Powerlifters compete across three lifts. Those lifts are the Bench Press, the Deadlift, and the Squat. Lifters have three chances to post a score in each lift. To post a score, the lifter must successfully complete the lift with good form throughout. If the lifter fails to post a score in a particular lift, they are disqualified from the competition. In a powerlifting squat, the lifter tales the bar across their shoulders, then bends his legs until the thighs are below parallel to the floor. This is classed as the descent. Once the descent is complete, the lifter must stand up again to complete the lift. If the lifter does not squat deep enough, or is not able to stand back up on their first attempt, the lift will be classed as a failure. To do a powerlifting bench press, the lifter must lie on the bench, hold the bar in both hands, lower it to their chest, pause briefly with the barbell on the chest, then press it back up. Some arching of the back is allowed, but the lifter’s buttocks must always be touching the bench. No downward movement of the bar is allowed during the upward part of the press. The powerlifting deadlift involves pulling the barbell from the floor (using whichever grip the lifter prefers), until the lifter is standing upright with the bar held in front of them. The lift should be a fluid motion. No “hitching” of the bar using the thighs for support is allowed. Some powerlifting competitions allow the use of supportive equipment such as wraps, belts, and lifting shirts. These are classed as “equipped” competitions. The equipment used at equipped powerlifting competitions allows the competitors to lift heavier weights. In contrast, there are “unequipped” competitions, where supportive equipment is not allowed. These competitions are usually aimed at beginners, and the weights moved a lower, but still impressive. Men and women compete in separate divisions in powerlifting. Within each division there are weight classes, and also classes for different age groups, with younger lifters competing in junior age groups, and separate master’s divisions for lifters over the age of 40. There are several different powerlifting federations. One of the most well known is the International Powerlifting Federation (IPF). Those wishing to compete in the sport of powerlifting should contact the IPF to learn more about the sport, and to find out about local divisions and powerlifting friendly gyms.